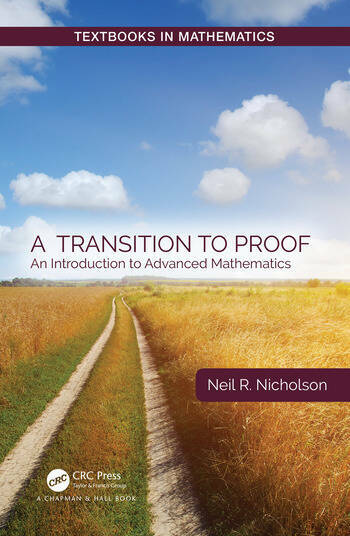 A Transition to Proof: An Introduction to Advanced Mathematics describes writing proofs as a creative process. There is a lot that goes into creating a mathematical proof before writing it. Ample discussion of how to figure out the "nuts and bolts'" of the proof takes place: thought processes, scratch work and ways to attack problems. 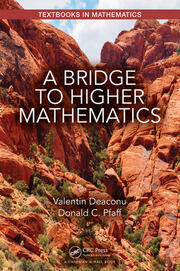 Readers will learn not just how to write mathematics but also how to do mathematics. They will then learn to communicate mathematics effectively. The text emphasizes the creativity, intuition, and correct mathematical exposition as it prepares students for courses beyond the calculus sequence. The author urges readers to work to define their mathematical voices. This is done with style tips and strict "mathematical do’s and don’ts", which are presented in eye-catching "text-boxes" throughout the text. 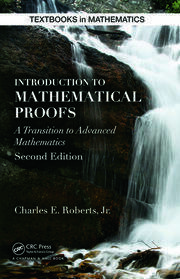 The end result enables readers to fully understand the fundamentals of proof. Dr. Neil R. Nicholson is Associate Professor of Mathematics at North Central College. He holds a Ph.D. in Mathematics from The University of Iowa, specializing in knot theory. His research interests have consistently been topics accessible to undergraduates; collaborating with them on original research is a fundamental goal of his professional development. In 2015, he earned the Clarence F. Dissinger Award for Junior Faculty Teaching at North Central College. He serves as the Faculty Athletic Representative to the NCAA for North Central College.